Tuesday, February 6, 2018. 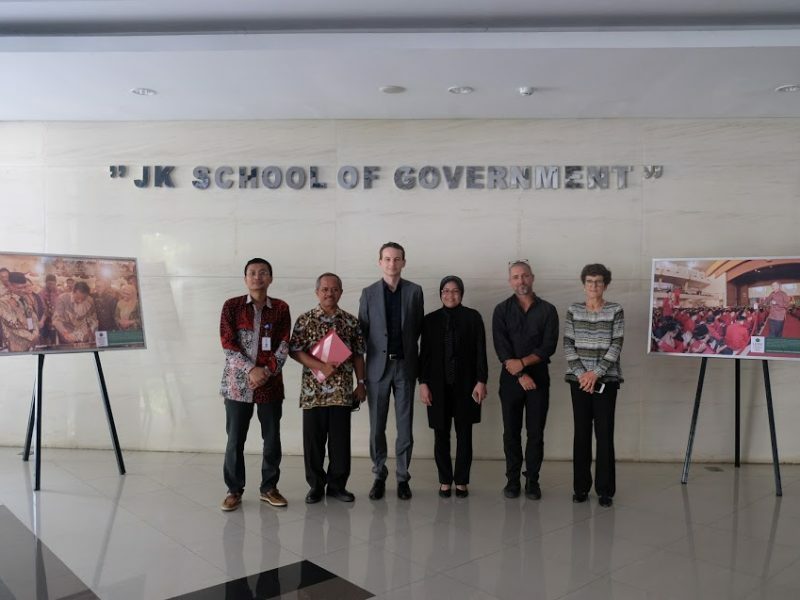 UMY’s Fisipol with MGAA UMY welcomes a visit from Murdoch University, Australia. The academic visit took place at Student Hall MGAA Postgraduate 2nd floor building and from 12.30 PM to 02.00 PM. This academic visit aimed to exchange information on academic matters as well as discussions as possible cooperation between both parties in the future. This meeting attended by Jeffry Wilson, Celia Cornwell, and Ian Wilson from Murdoch University. While from UMY was attended by Bambang Wahyu Nugroho, S.IP., M.A. (Director of IPIREL), Eko Priyo Purnomo, M.Res., Ph.D. (Head of International Relation Office UMY), Dr. Titin Purwaningsih, S.IP., M.Sc. (Dean of Fisipol), and Aswad Ishak, S.IP., M.Si. (Vice Dean II Fisipol). Dr. Dyah Mutiarin M.Si. as the Head of MGAA Program welcomes this academic visit and hopes the cooperation could be implemented in 2018.